The Most Aggressive Dog Breeds in the World? Here’s a report that’s set the cat amongst the pigeons. Research has lead to the naming of a top 33 list of what is said to be the most aggressive dog breeds in the world. And no, forget Rottweilers, Pit Bulls, Dobermans and Mastiffs for it is the little uns’ who come in highest on the aggression scale. 1) Previous studies into ‘most dangerous dog breeds’ have been based on hospital treatment stats for dog bites. Stats which are fundamentally flawed and skewed toward larger breeds, for they are the dogs who are likely to cause more serious injuries on the rare occasions when they do bite. 2) Small breed representatives are now hopping mad as it is THEIR breeds who are now under the spotlight. Welcome to the world of breed-type pigeon holing folks, it’s no fun is it? Yappy little things? Oh. Dear. Let's have no more of that shall we! As a Rottweiler owner I know what it is like to have your entire breed’s reputation called into question on the back of a few isolated incidents. As a dog lover, I have a keen understanding of the fact that individual characters within individual breeds are wide and varied. So for a Rottweiler rep to try and throw the Jack Russell under the bus like this is really rather dissapointing. Some Jack Russells are yappy. So are some Rottweilers. Most Rottweilers are cool, calm, kind hearted dogs. So are most Jack Russells. So here we go anyway. For what it’s worth, even though this new research throws up some unexpected dog breeds on the ‘most aggressive’ scale, and even though I already know that people will be running to this report for reference the next time their Rottie, Shepherd, Doberman, Mastiff etc is ignorantly labelled as ‘dangerous’, can I ask, nay, can I beg for some unity from dog lovers, please. We all love our dogs, our favoured breeds etc. But if we are going to start slagging off other people’s dog breed of choice at the merest hint of some negative or positive press coverage, we will, frankly, get what we deserve – that being, ALL dogs being tarred with the same brush. 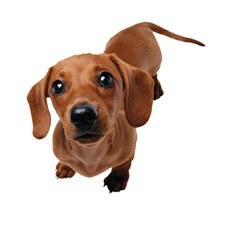 They may be small, but new research found that one in five dachshunds have bitten or tried to bite strangers, and a similar number have attacked other dogs; one in 12 have snapped at their owners. Known as sausage dogs for their elongated bodies, dachshunds have not, until now, had a fearsome reputation, although they were originally bred to hunt badgers in their setts. However, they topped a list of 33 breeds which were rated for their aggression, after academics analysed the behaviour of thousands of dogs. Chihuahuas, an even smaller breed, were the second most hostile, regularly snapping or attempting to bite strangers, family and other dogs. Another small favourite, the Jack Russell, was third. In Illinois last week, Linda Floyd had to have her dachshund, called Roscoe, put down after the dog gnawed off her big toe while she slept. Mrs Floyd, 56, woke up too late because nerve damage from diabetes had left her with no feeling in her toes. Dr James Serpell, one of the researchers, said smaller breeds might be more genetically predisposed towards aggressive behaviour than larger dogs. “Reported levels of aggression in some cases are concerning, with rates of bites or bite attempts rising as high as 20 per cent toward strangers and 30 per cent toward unfamiliar dogs,” he added. Until now, research into canine aggression has almost exclusively involved analysis of dog bite statistics. But the researchers said these were potentially misleading as most bites were not reported. Big dogs might have acquired a reputation for being aggressive because their bites were more likely to require medical attention. The study, published this week in the journal Applied Animal Behaviour Science, involved researchers from the University of Pennsylvania questioning 6,000 dog owners. Breeds scoring low for aggression included Basset hounds, golden retrievers, labradors, Siberian huskies and greyhounds. The rottweiler, pit bull and Rhodesian ridgeback scored average or below average marks for hostility towards strangers. Breed profiling is a flawed concept. However, this study might prove useful if you ever find yourself having to defend your breed as it goes to show, reputations for so-called aggressive dog breeds, the stereotypical ones you hear about such as Rottweilers, Pit Bulls et al, are normally wide of the mark. Dogs are individuals, the product of their upbringing, environment and, yes, genetics. But it's owners who will ultimately determine how a dog behaves and we'd all be wise to never lose sight of the fact, even if the tabloid media will completely ignore it. As an owner and big fan od feisty dachshunds I am surprised to see their ranking in the aggression stakes! I adopted an eight year old several years ago, a truly gentle soul. I now have three year old male and female, the boy is needy, brave and gentle. The girl is boss of the world, intolerant but loyal and incredibly affectionate. Please remember folks, the whole world is bigger than them and it can be very scary. I’ve had daxies for the past 50+ years. My kids have crawled on them, teethed on their tails, hugged them…. never a retaliation. Never. Interesting, but just sooooo misleading. The “owner behavior” argument is seriously flawed because it’s incomplete. Some breeds have MUCH higher rates of unprovoked attacks. Sorry, but it’s true. If all dog breeds were equally dangerous, then the rates of unprovoked attacks and the rates of injuries and deaths would match up. So, we all agree (I hope!) that some breeds are different than others both in terms of aggression but also in terms of risk of injury or death to people. While owner behavior CERTAINLY increase risks, attempts to slam as “breed discrimination” honest information about certain breeds is just plain irresponsible. You’re going to get people hurt. Quite agree. I had actually understood that Golden Retrievers bit more people than many other breeds. I can see why…people, including total strangers and the dog’s own family can take such incredible liberties with them, believing them to be ‘bombproof’. Who can blame them when having been sat on or been ‘hugged’, which of course is a v. dominant gesture, most dogs merely tolerate, not enjoy, even from those they know well, or had their hair pulled by sticky little fingers once to often they finally react with a warning bite? For this reason, being numerically common, I understood them to be up there with the ‘frequent biters’. I have fostered dogs of many breeds, from giant to tiny, some who had never previously met a child yet been very steady and gentle around them (supervised of course) so I will never be convinced it’s all down to nuture in the form of sound early socialisation! No way!In support of the little guy, my own family’s rescued Jack Russell mix will sometimes give larger, more boisterous dogs a telling off, simply because she is fed up of them jumping on her. It hurts her and she finds it scary! Fair enough I say, why should she just keep quiet? Ow! Get off! is reasonable. I think owners and the public should just get an IQ and stop expecting small dogs to be okay being manhandled by stupid squealing looming staring giant strangers or knocked about by out of control by dogs 10 times their size. The bite figures will reduce accordingly. Luckily I have owned greyhounds and whippets all my life. So they honestly do not care about anything but food and bed! Hence their scoring! I get that small dogs want to say “GET OFF ME YOU LUMP” but there’s a difference between a warning bark/growl and nipping someone. Collie, who chased me and my friends for about a mile, all the time snapping at our legs. And a chihuahua that bit through Ellie’s skin. (They have basically see through skin at the bottom of their hind leg! Tore it off) that dog was accident prone in general, but I swear other dogs saw weakness and frailty and just went for her. But I always say that yes, it’s mostly how you being up and train your dogs. But you have to look at the traits of the breed! They’re there for a reason. Somebody didn’t just pluck them from thin air. And the first sign of seeing the aggressive trait then either muzzle up or go to training or seek vet/behavioural treatment. Small dogs are just as vicious as big ones, but as their damage is minimal (but they can leave hefty scars and wounds) people think “awwww that’s so cute when she’s growling. Look at her wee teeth” NO! It’s not cute. And the first time they bite will most likely be the last time and will be out to sleep. Train your dogs properly. Say NO! It won’t kill them. tell them off when they’ve been bad and don’t coo and aaaah when they’re bad. Bad is bad. It won’t be cute if your face is roped apart, if your child is needing stitches or if a stranger phones the police. Check your dog into place and be the alpha/omega in your house. The dog is ALWAYS below the humans. And if a dog sits in you without invitation, or walks across you or other dominant acts. It’s a sign you need to be a boss. My dogs sit next to me. They can sit on me (yes a greyhound sits in me when I let him. Bless) but only when I say so. And I spoil my dogs rotten! They get toys galore, special foods (nearly bursts my bank balance though. Lol) and coats and muzzles. But they know I’m in charge, my mum is aloha female and my bro is alpha make (my female is such a wee tart! The minute my brother comes home she right next to him and ignoring me and mum. Lol) I’m Omega (I think that’s the word) and I’m the softie who gives them treats and extra cuddles. But my point is, no matter what the size and who the owner is and how you know your dog, they have traits that should be addressed when they raise their heads. But small dogs aren’t cute when they growl and bite. Big dogs do make a lot of damage yes, but that doesn’t mean they’re any worse than than small dogs. The level of injuries should not be used in judging aggression. Certainly a large breed dog is going to cause more injury in a simple bite compared to a medium or toy breed. As for breeds-yes I do believe some may be more inclined to bite because of their breed. But the more likely reason is it’s raising. Nature vs Nurture. This list is quite off in it’s “true” statistics. NO, you can NOT judge a breed’s aggression by the amt. of bites registered in hospitals because they did NOT all required medical attention and people did not report them. Common sense? The larger the dog, the bigger the bite. DUH. I have had several breeds of dogs and played, dog-sat, walked, and been around ALL breeds at one point or another. I <3 them SO MUCH!! Smaller dogs are more aggressive. LIKE IT OR NOT. Bigger dogs are protective, but generally warm up to new people and other dogs very quickly, smaller dogs do not. Raise your dogs the right way, they will behave. Regardless of DNA. I’ve groomed and trained a wide variety of dogs over the past 50 years. I’ve only been bitten by one large dog, a German Shepherd, and all the other bites were from little dogs of various breeds and crosses. I stopped counting the small dog bites years ago as there were simply too many of them. Most of the bites came from trying to clip toenails but there were a fair number of bites from dogs who hadn’t been raised and trained correctly. Any dog can, and will, bite under the right circumstances. I would estimate that only 1% of any population knows how to train a dog correctly. That leaves a lot of ill-trained dogs out there. Everyone should learn how to read a dog’s behavioral signals and teach them to their children. Most human “bites” are from nursing human babies and toddlers on toddler attacks at daycare. To date no Dachshund has killed a neighbor adult walking to the mailbox. No dachshund has broken into a home in our neighborhood with the goal of killing the resident dog. “Good” bully dogs have. Bully people have an astounding ability to disregard the injuries and fatalities these dogs have caused while being good bullies: injuring/killing neighbors/passersby pets/people. Your new neighbor says hello from her back yard and then explains that her 20-year-old son lives with them. “Johnny’s a big boy, so sweet. He had a brain injury, so he loves the color red and he loves pit bulls. He’s not mean, but sometimes he kills pits. “We really don’t think he’ll hurt your or your children, but we thought you should know he is very good at killing pits. We do try to keep him indoors, but he’s so smart and fast, we don’t even know he’s out until we hear the neighbors screaming or someone come pounding on the door, wanting us to get him off their dog. “He’ll sneak up behind a leashed pit, slice her open with a knife he’s taken from the kitchen. If the dog spins around, he’ll slice off her nose! He’s fearless, so usually the pit doesn’t see him coming. “He’ll go over a high fence, slit the throat of the pit and be back over the fence before you know he’s there. He’s such an athlete! “When the police are called, they say that since he only goes after dogs, it’s OK, and there’s nothing they can do. He’s always polite to the police so they can tell he’s not aggressive. “Some people say he’s vicious, but if you come meet him, you’ll know he’s not mean! He’s so friendly and loyal and handsome too. I think he only wants to play with the pits, and it’s an accident if he kills them. I think the pits sometimes “ask for it” if you know what I mean. Or maybe Johnny can tell if the pit is sick or if the pit looks at him funny. We don’t know what sets him off, but that doesn’t matter anyway. “And it shouldn’t matter to pit owners anyway. More pits are killed when their owners starve or beat their pit bulls to death. Would you want Johnny to be your new neighbor? What him to have lots of kids, hoping that they’ll be just like him? You’re a moron. There are, literally, dozens of proven and accurate studies done to show that pits (not a breed) are generally a friendlier dog than most other dogs. you are furthering peoples skewed view of these breeds.People that think like you are the reason that these well mannered dogs are put down in high numbers in shelters every day. Do more research and hug a pit bull and see how you feel about bashing them after. Debbie Bell I like your parable. Perhaps it will help more people to understand why some people do not feel comfortable living around Pit Bulls and other Bully Breeds that could get loose and suddenly attack a human or other animal. I have a Facebook group called Rosa’s Rescue & Rehoming (R.R.R.) in which I have been catching so much heat trying to get others to understand my feelings towards Pit Bulls and Bully Breeds. May I share your parable to my group? Lets start with this: any dog breed can bite, depending on the size of the victim any dog can kill. That being said if you look at the majority of fatalities and maul cases they are largely pitt, rott, and if you take in about ten breeds you account for 90% of these cases. So I think you should be able to own any breed you want, if it kills or does any significant damage to human or other pet, the dog should be put down and the owner held fully responsible, this includes jail time fitting the crime, your dog kills someone (not including protection of owner-very rare) you go for murder regardless of breed. I’ll keep my bassets you can own pitt, rott whatever but you hold the resp. of your dog no excuses. Shouldn’t be a problem but this is the U.S. of no responsibility so it will never happen. Debbie Bell, just the fact that you dreamed up that utterly sick story is reason enough for me to discount your opinion. You should either move to LA and write scripts for horror movies, or check yourself into a mental hospital, probably the latter. I’m certainly glad you’re not my neighbor, and I wouldn’t trade my neighbors (and their two pit bulls) for anything. We have a dachshund AND a Rottie/Cane Corso mix. They get along with each other wonderfully. It’s cute to see our Doxie laying on our Rottie/Cane Corso bed and vice versa. Angel, our Doxie, is a wonderful watch dog and Gypsy is a great guard dog. Guess we’ve been lucky neither one has bitten anyone. They both get along very well with our cats and small children when my daughter babysits. Wow, turns out my Stellabella is a aggresive breed? She is a dach. almost 6 yrs. She’s loyal as can be, but also iffy as can be with strangers n other dogs. Best guard dog I know. Extremly smart, knowing all sorts of frazes n commands. Can be stubborn as hell. She won’t leave the yard even off lead. Will only go on walks if they involve a ride there. She sleeps in my bed everynight. I even trust her with my 3 year old and large boxer/lab. So far so good no casualties. I couldn’t. Imagine life without her. Shes deff somethang special. I have a dachshund and he is extremely protective , but he is really nice once he is used to the person, but he has attacked a few strangers that approached me outside. ( I got him before he could do any real damage) He has also attacked a large husky in my neighborhood and completely shredded up the dogs leg. He has also killed a couple birds and a rabbit in my backyard. These dogs could certainly do damage if they truly wanted to, but i’m not saying that they are a viscous breed cause they can be very sweet, well-minded animals. Well, it would seem that newer studies bear out what most of us owners have known for a long time, it really comes down to the owner. Yes, a big and powerful dog can do more damage. Wow, what a revelation. So, is the answer to just kill all large powerful dogs?? Do most of you even know what dogs are on insurance black lists?? (I’ll give you a hint, it includes Boxers and Huskies). A responsible owner isn’t just someone who trains their dog, but they are also responsible in the dogs that they choose. This means getting puppies from responsible breeders who breed for temperament, and socialize the puppies well. Thus, the seed is sown before the new owner even gets their new fuzzy family member. Most dogs are naturally protective. As a many time and current owner of a Rott, I get incredibly tired of the stereotyping and discrimination that myself, and my fuzzy child gets. I work very hard to foster good doggy citizens, the same as I work hard to guide my son to be a good citizen. Yet, yesterday I received a notice in the mail that my homeowners insurance would not be renewed (9 years with company and no claims on house or vehicles) due to our 7-month old Rott puppy. No chance to prove him innocent (he may wiggle you to death, or lick off your make-up). He is just a claim waiting to happen. Never mind that we have had Rotts since 1998, and our dogs have never bitten or injured anyone. So, small breed owners that are in an uproar over having your babies stereotyped, welcome to my world. Remember that all dogs have the potential to be wonderful companions and family members……… it just takes a bit of effort on our parts. I’ve been bitten twice in my long life. First when I was about 8. I had just been patting a neighbour dog, not taking into account that this dog harassed the German Shepherds while they were in harness, taking the young invalid boy in the family out in a sleigh. Nader nipped me,gently – clearly telling me that as her friend I’d better not be friends with ‘that’ dog! Perfectly understandable. The other bite was from a Jack Russell who charged me as I was doing political canvassing (he probably didn’t agree with my politics). He bit me hard and brought blood. I’ve owned cocker spaniels and daxies over the past sixty years or so and have patted hundreds of dogs big and small (including “pitters”, with no problem. The most vicious dog? – Cana Presarius – now being purchased by people who live in cities where pit bulls are banned.